Time for Blog Hop Wednesday. For this month I'm paired with Rajni @My Kitchen Trials. 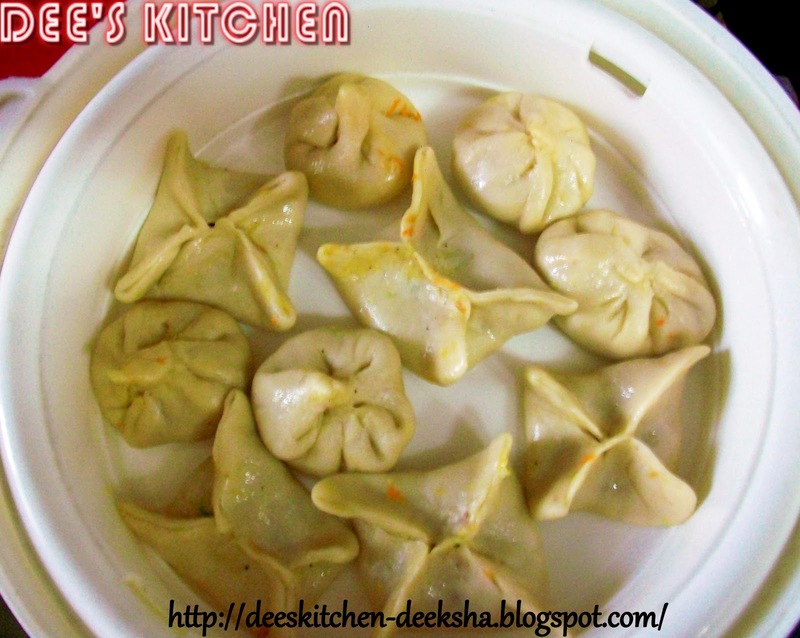 She has a wonderful space.I would like to try some more recipes from her blog but for today I selected Vegetable Momos from her space. We enjoyed a lot.... :)...!!! * Combine APF, salt, oil and water to knead a soft and firm dough. Rest for ten minutes. 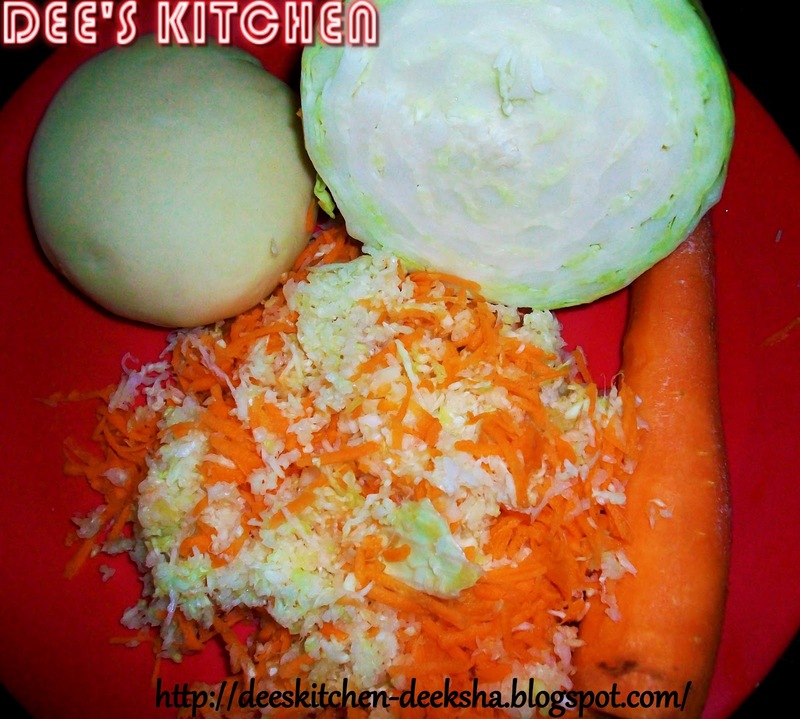 * Wash and grate the cabbage and carrot. Add 1/4 spoon of salt and mix. Rest for ten minutes and squeeze out the water. * Meanwhile heat one tsp oil in a pan. 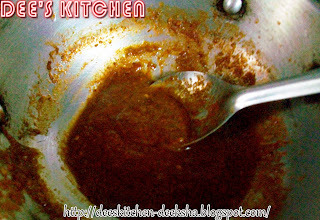 Add ginger garlic paste and saute it for two minutes. 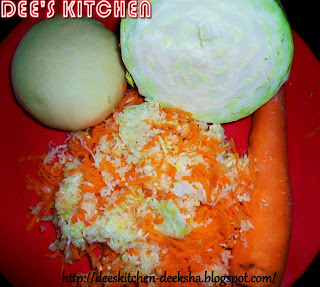 * Add green chillies, cabbage and carrot. Stir. Add salt and black pepper powder. 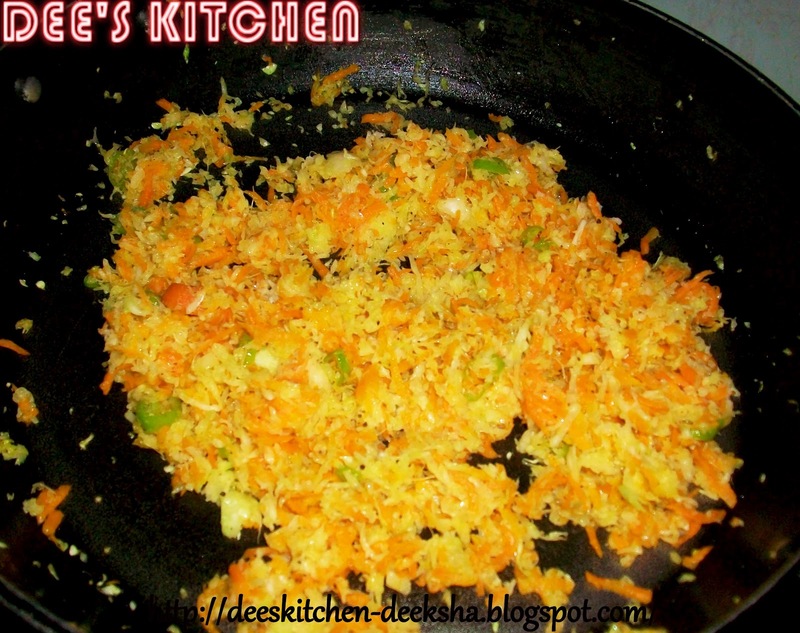 Cooks for 3 to 4 mins. * Switch off the fire. Stuffing is ready. 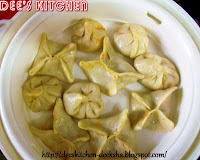 * Heat sufficient water and steam the momos on a greased container from both the sides till done. * Grind soaked red chillies, garlic cloves, ginger, coriander seeds in a blender by adding some water. * Heat one tsp oil in a pan. Add chutney and saute it for a minute or two. * Add vinegar, a pinch of orange red color, soya sauce and sugar. Cook for another two minutes. * Switch off the fire. Serve hot steamed momos with this hot chutney. Just love momos,have to try them soon,yours came out fantastic. 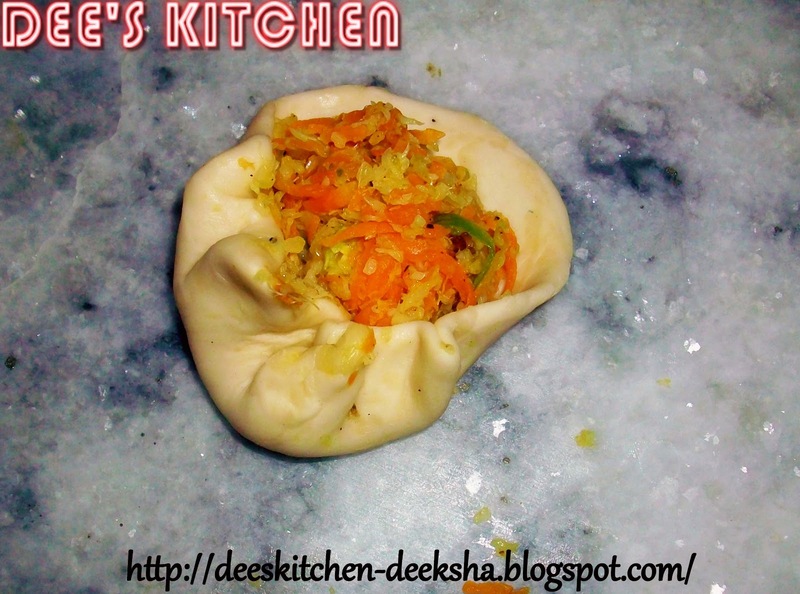 Thanks for trying this recipe Deeksha :). This looks very good and hope you liked it as much as we did :). Love memos .The first time I had memos was in Sikkim, from that day, I fell in love with this steamed and healthy dish. Looks lovely... gonna try this soon.. 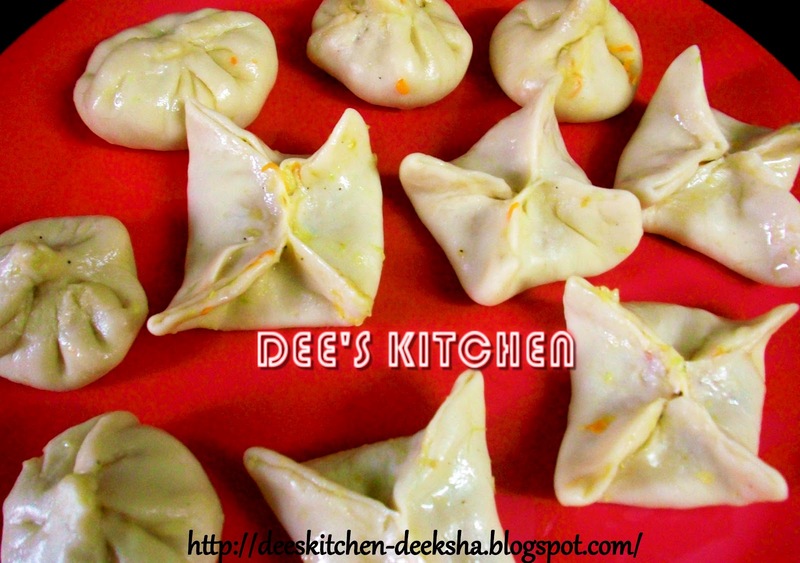 Delicious dumplings,love these a lot! Lovely and delicious one !! Visit my recipe Banana Lassi - BHW17 during your leisure time. 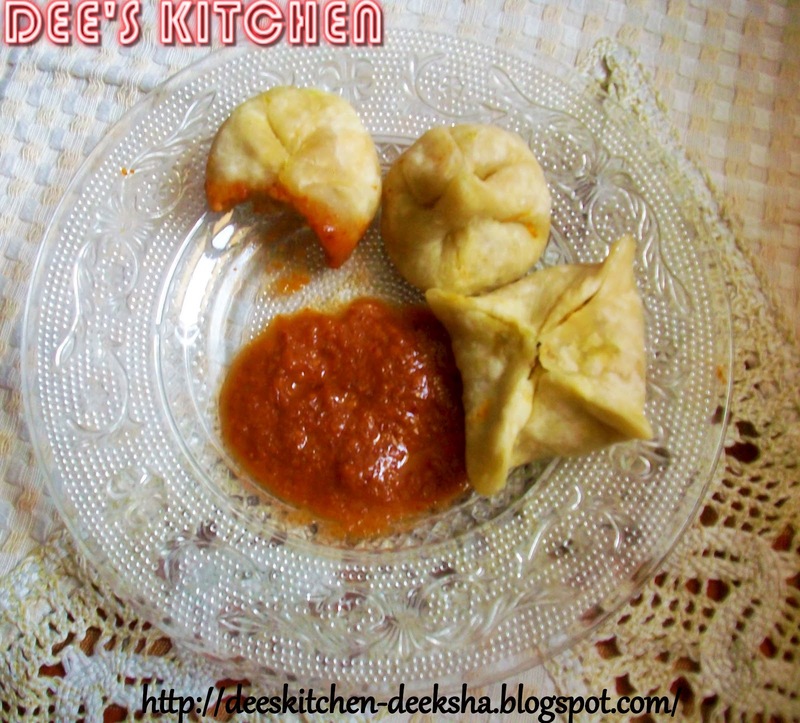 Lovely and yummy momos.. looks awesome ! !